Many of you had asked for a tutorial for this design, so I took this opportunity to finally make one. :-) It's coming! 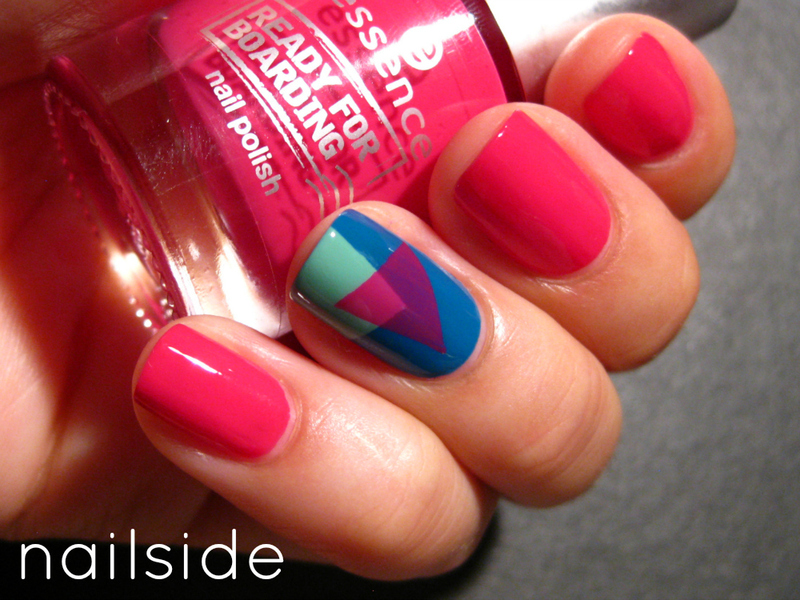 i love this accent nail! It's pretty, I love the sheer triangle on top! this is super pretty! i love the shapes! Great work, and it's original because the colors overlap. What you use nail polish brand? Do you know the cosmetics brand Yves Rocher? I love the colors! This design is fresh! Great colours! So totally 80s! I love your blog so much i put it in my favorite!!!! thanks ! 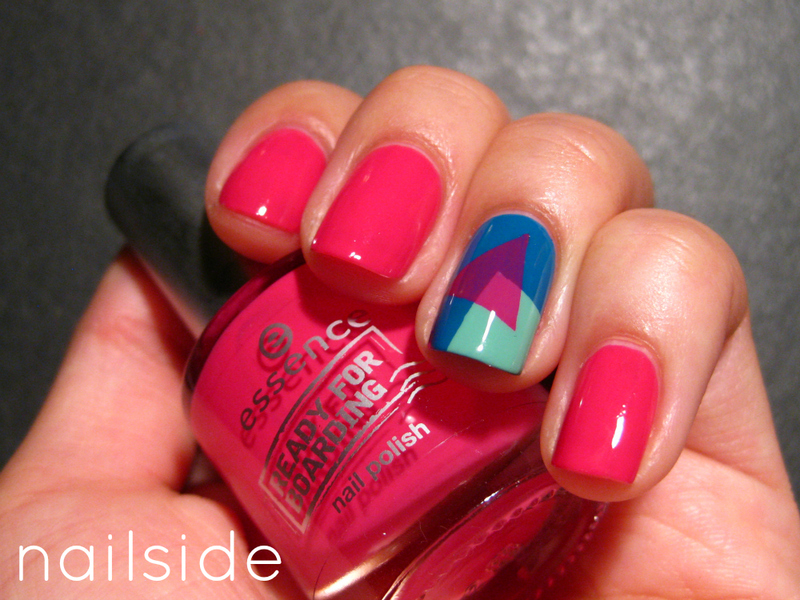 you make a really good nail art ! i love it! Love it! I don't know how you think of it-- geometry is not my strong suit. Very cool! I'll have to copycat that one day. hi Jane, I have an answer for you, can you show us your hands without laquer? I want to try to have your nails, cause I don't have the nails I want.